We propose a formal account of XACML, an OASIS standard adhering to the Policy Based Access Control model for the specification and enforcement of access control policies. To clarify all ambiguous and intricate aspects of XACML, we provide it with a more manageable alternative syntax and with a solid semantic ground. 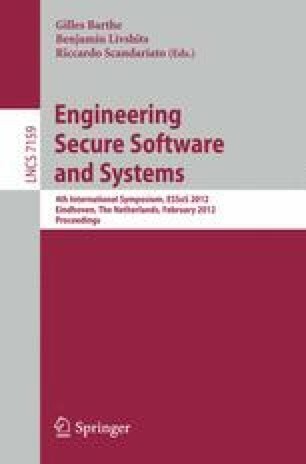 This lays the basis for developing tools and methodologies which allow software engineers to easily and precisely regulate access to resources using policies. To demonstrate feasibility and effectiveness of our approach, we provide a software tool, supporting the specification and evaluation of policies and access requests, whose implementation fully relies on our formal development. This work has been partially sponsored by the EU project ASCENS (257414).